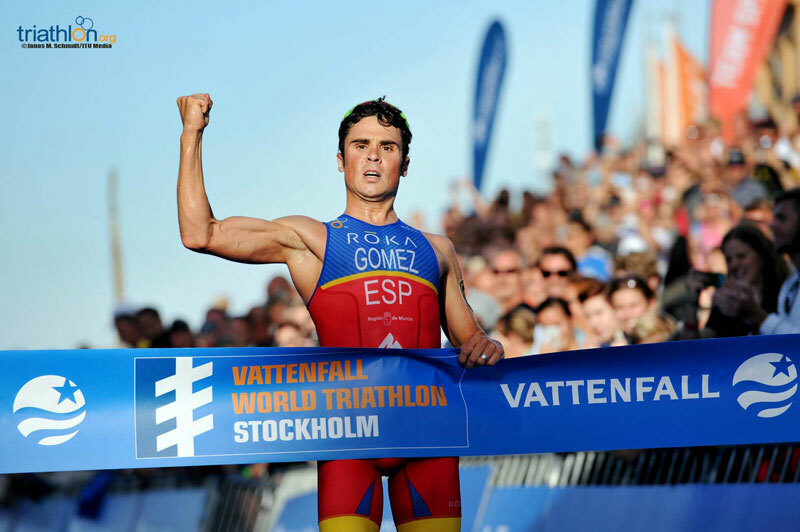 Stockholm – Javier Gomez Noya (ESP) is no stranger to the top of the podium, but the one race he had yet to win was the ITU World Triathlon Stockholm. 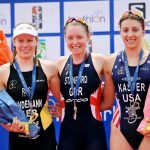 That all changed on Sunday as the Spaniard finally captured the gold medal and was able to proudly add WTS Stockholm to the long list of victories. 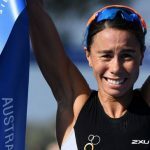 “I didn’t feel good with the swim, I was a little bit asleep at the start, so when I knew I was far behind I fought the second lap to move forward a little bit in the swim, I think I was the last person to make the first group on the bike,” said Gomez. The other two podium spots came down to an impressive battle between Joao Pereira (POR) and Aaron Royle (AUS), who both have not seen a podium yet this year. Ultimately a last-minute push from Pereira granted him the silver medal, leaving Royle with bronze. With the air a perfect 25 degrees and the water just above 20, the men ditched their neoprene for a non-wetsuit swim, which was a game changer for some men. 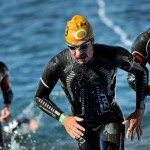 Choppy waters didn’t keep Henri Schoeman (RSA) from flying through the two-lap swim, taking the lead on each of the two laps. Royle continued his Olympic qualification form from two weeks ago, joining Schoeman as one of the top men to reach the first of two transitions, along with Spaniard Francesc Godoy and France’s Aurelien Raphael. 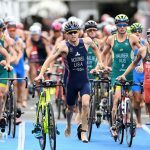 Although the men’s field was slightly strung out after the two-lap swim, with Gomez down 22 seconds after the first swim lap, it took just one turn around the bike course for more than 20 men to come together over the cobblestoned streets. With a solid strategy in place that saw athlete after athlete take their turn at the helm of the pack, the lead opened up a 30-second gap over the chase after the first bike lap. Strong cyclists like Kristian Blummenfelt (NOR) ensured that their advantage increased 10 seconds on every turn around the nine-lap bike course for nearly a minute over the chase, which included Mario Mola (ESP), by the third lap. That advantage would carry the men throughout the entire bike leg and into the second transition, which meant that those looking to stand out would have to do it on the run. A tough hill caused some groupings to shift and those with the legs were able to capitalize and push out ahead once the run began. Those legs belonged to Gomez, Pereira and Royle, who ran as a trio for the first lap. Schoeman and Ryan Bailie (AUS) paired up immediately and followed as a two-man chase vying for the fourth and fifth position. Realizing he needed to control the pace, Gomez utilized the second lap to finally break away and create some space between the other men. He gradually increased his lead in the next two laps until he reached a healthy 53-second lead that allowed him to hit autopilot and bring it home to the finish. With two more podium spots up for grabs, the momentum shifted when Schoeman and Bailie caught up to Pereira and Royle, creating a four-man pack with only two medals up for the taking. The last lap saw Bailie drop out of the running however, followed by Schoeman in the last kilometre. It was only at the carpet did Pereira showcase an extra ounce of effort that allowed him to overtake Royle for the silver medal.